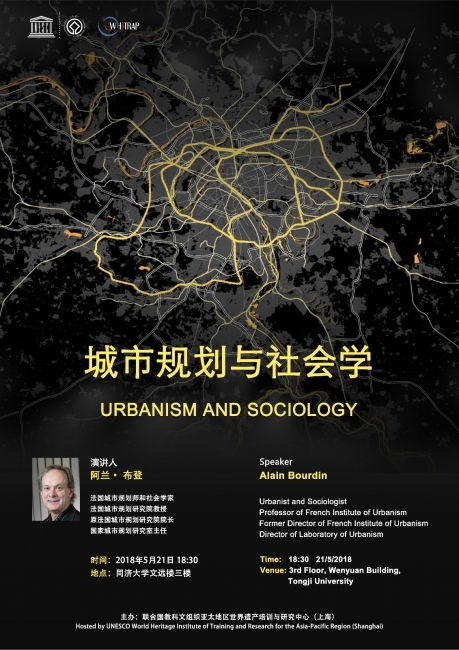 On May 21st, 2018, Professor Alain BOURDIN presented a lecture on ‘Urbanism and Sociology’ at WHITRAP Shanghai. 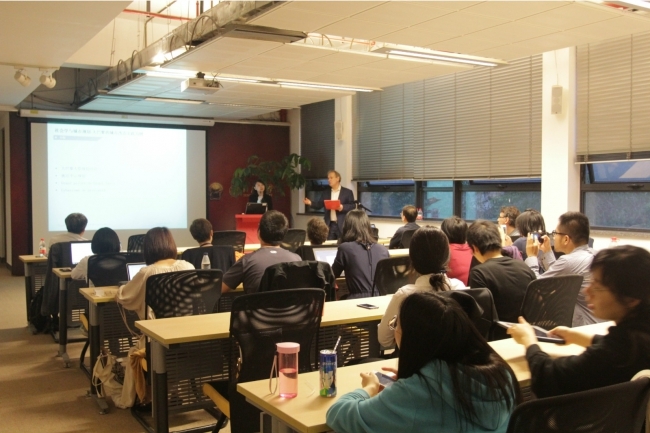 The lecture was chaired by assistant professor YANG Chen from the College of Architecture and Urban Planning of Tongji University. Urban planning is the sum of a series of actions which can increase the value of a region and has an important impact on spatial forms, use and meaning. Yet the question remains - what kind of values, and people, does it specifically target, and what kind of influence does it produce? Through social surveys and research, the social and economic background of urban planning can be better defined, and different participants and stakeholders can be studied to understand their intentions, interests and strategies. The analysis of mid and long-term demands originating from a large array of users permits professionals to identify a community’s needs and to design lifestyle-based research and plans, demonstrating the decisive role of sociology in the urban planning practice. Alain BOURDIN, planner and sociologist, is the former Director of the French Institute of Urbanism. His research and professional practice focuses on urbanism and sociology, with specific attention to the themes of heritage, urban strategies, and the evolution of urban lifestyles. He is the author of many books and articles, a member of many scientific institutions, and a consultant actively participating in urban planning projects. Prof. BOURDIN teaches at the Raymond Lemaire International Centre for Conservation (RLICC), in Leuven, Belgium, and at the University of Geneva, Switzerland.